Bowalley Road: Settling In: How Was The Last Labour-Led Government Doing Two Months Out From Election Day? Settling In: How Was The Last Labour-Led Government Doing Two Months Out From Election Day? WHAT HAPPENS on the Seventh Floor of the Beehive affects everyone. 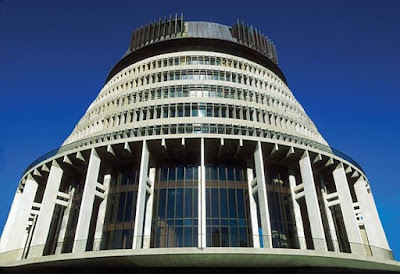 From a handful of cramped offices thirty metres above Lambton Quay, issue forth the media releases, speech notes, bills and regulations intended to shape ­- and re-shape - the New Zealand economy. 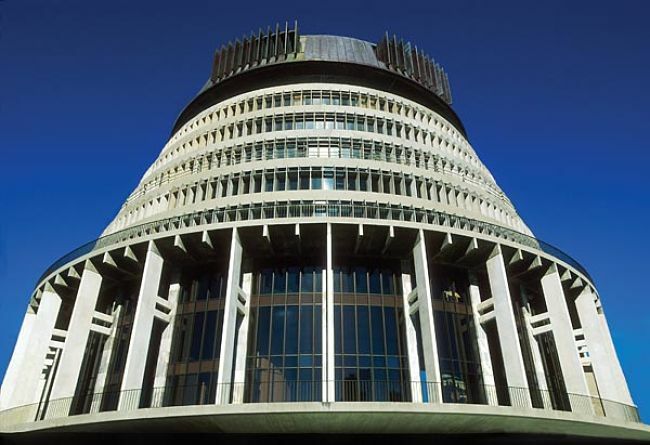 For the next three years, the speed and direction of economic policy will be determined by the two politicians currently occupying the Seventh Floor – Labour’s Treasurer and Finance Minister, Michael Cullen, and Jim Anderton, the Alliance’s Minister for Economic Development. The success or failure of these two ministers will have an enormous bearing on the fate of the Labour-Alliance Coalition. Voters respond most vociferously to Government decisions which have a direct impact on their material standard of living. If they wish to remain on the Seventh Floor, Cullen and Anderton will have to get it right much more often than they get it wrong. Five years ago, the idea that Michael Cullen and Jim Anderton might one day be working alongside one another would have been greeted with derision. As Labour and the Alliance staked out their respective economic positions, the responsibility for articulating the issues which divided the two parties fell to the two men who must now – somehow – unite them. It must be said, that both Cullen and Anderton embraced the former task with all the fervour and vitriol for which the Left is famous. Cullen christened the Alliance Leader “Jim Il Sung” – equating Anderton’s protectionist predilections with the North Korean command economy. Anderton, not to be outdone, never tired of reminding Alliance audiences that Cullen’s air-fare to an exclusive seminar in Aspen, Colorado, had been paid for by a member of the Business Roundtable so that Labour’s finance spokesperson could be further indoctrinated with New Right economic theory. long-term political strategy, the first sign of which was his June 1997 speech to the NewLabour Party conference in Hamilton, where he proposed a substantial revision of the Alliance’s taxation policies. This rightward shift brought the smouldering civil war within the Alliance’s ranks to flash-point - precipitating a battle in which the Marxist Left of the NLP was pitted against an opportunistic coalition made up of Anderton supporters, Mana Motuhake and the Democrats. The Greens, rather than become involved in another three years of fratricidal bloodletting, opted to withdraw from the Alliance altogether. Anderton’s faction – as so often in the past – emerged triumphant from the repositioning argument, thereby clearing the way for the formal rapprochement with Labour which took place at the Alliance Annual Conference held on Massey University’s Albany campus in August 1998. The decision of the latter to opt for a “loose” coalition with Labour – rather than a detailed National/NZ First-style agreement – signalled a further defeat for the NLP Left. Harré and her allies had argued strongly for a much less accommodating approach. From Helen Clark and Michael Cullen’s perspective, Anderton’s demonstrated capacity to master the Left of the Alliance was a necessary precondition to any reciprocal shift of position on the part of the Labour Party. The Labour Caucus’s decision to confirm a six cent tax hike for those earning more than $60,000 per annum was Clark and Cullen’s answering gesture to Albany’s warm fuzziness – and proof positive that the process of “policy convergence” was now an accomplished fact. Astute readers will recognise in this brief historical narrative a political motif strikingly similar to the one imposed on NZ First by Michael Laws in 1996. Before either party could “coalesce” with a mainstream political force, it first had to be shorn of its more radical elements. That this process necessarily entailed the shedding of large chunks of its electoral support, and the steady disillusionment of its most active supporters, was considered by both the Alliance and the NZ First leadership to be the unavoidable price of power. All attempts by the Left of the NLP to arrest this process of de-radicalisation proved fruitless. In spite of Alliance Director Matt McCarten’s best Machiavellian efforts to supplant Mana Motuhake and Democrat candidates with NLP Leftists on the Alliance List, the tax issue once again provided Anderton with the means to demote and exclude the radicals from serious contention. By aligning the Alliance’s initial tax rate with Labour’s, Anderton not only eliminated the progressive elements of Alliance fiscal policy, but also undermined its capacity to offer a truly radical alternative to Labour’s economic direction. The NLP Left’s last ditch defence of Progressive Taxation did little more than reveal the true extent of its isolation and weakness within the wider Alliance coalition. Walking around the Seventh Floor of the Beehive today, one gets the feeling that Jim Anderton has “come home”. Surrounding the Minister of Economic Development is exactly the same group of individuals who supplied him with advice and support back in the late 1980s. Just across the circular stairwell is the office of Peter Harris - the former CTU economist who, alongside the redoubtable Pat Kelly, was one of the key driving forces of the Labour Party’s “Economic Policy Network” – a group set up by Anderton in the mid-1980s to contest the Douglas/Prebble assertion that “There is No Alternative”. Interestingly, Peter Harris is now advising Michael Cullen. Advising Anderton, as they have done since 1988, are Integrated Economic Services’ John Lepper, Petrus Simons, and Len Bayliss. The other long-term advisor from the 80s with easy access to Anderton’s office is constitutional lawyer, Andrew Ladley. It was Ladley who successfully argued the case for Anderton’s readmission to the Labour Caucus following his suspension for refusing to support the privatisation of the BNZ in 1988. Matt McCarten’s request to keep the Alliance’s Parliamentary and Organisational staff in close physical proximity – i.e. on the same floor of the Executive Building - was over-ruled by both Anderton and Clark. If you want to chat with the radicals nowadays you have to move out of the Beehive altogether and make your way through a maze of corridors to their new offices in the old parliamentary complex. Nothing could better illustrate the changes that have swept over the Alliance as it has moved steadily towards the political mainstream. It was a series of tactical – not ideological – differences which separated Cullen, and Anderton back in the late-1980s. Ten years on, even those have disappeared. This essay was originally published in The Independent Business Weekly of Wednesday, 26 January 2000. I always felt that Jim Anderton, after a lifetime of fruitless battling that he felt cost him vital contact with his family, with some tragic side effects, decided when the Alliance lost it's co-operative spirit, that he had done all he could for N Z society. And had received little thanks for his sacrifices . I think he just made the decision to take what personal advantage remained to be taken of his position and receive a comfortable income for the remainder of his life and let the high principles go hang. We all weren't worth the trouble. Jacinda and her able crew are doing fine. What many don't realise is that the broad church that is Labour is pretty much represented by the current coalition. A fractious lot but willing to make a positive difference. Thats what the other lot can't handle. With Jacinda at the helm the good ship Aotearoa should weather any storm and glide through the doldrums. One of Jim's difficulties was it seems that he wanted to return to past certainties. He attracted the older cardigan-wearing workers, the salt of the earth. But there were smarties in the organisation like Matt McCarten who thought they knew what they were doing. And the individualistic wouldn't bow, or even listen, to the co-operative spirit. I've had that work out recently in an organisation I'm in. And Jim pressing for a rebuild of the Cathedral, it is beyond belief that a forward-looking man would choose this outcome, and cling to auld Mother Church, which the Church itself didn't wish for. So much could be done, but NZ will always miss the bus. From the get-go Savage understood in principle the sacrifice required to deliver for the uninfluential. While many of his comrades were testestoroned tearaways. Strange how few of the people's spokespeople are philosophical about, the clearly predictable, personal costs. No stomach can be nursed -- in the longterm -- that last bit is where the human comes in: shortterm is fine. I saw Anderton at an airport after his pulling down the tent of the Alliance. Not a bee buzzed (and he seemed to feel it). I would have glowed with admiration prior. He did heroic work in the 90s --such bleak times. A Savage is a once in a lifetime selflessness, and so a hero for all time. How long before, to paraphrase, 'a human is a human for all that' is writ in all our mottoes. Not just Scandinavia. Can the middle class leaders of the Left, on their gradient career progression, really understand anything about this? The real tragedy was the loss of the New Labour Party via the unholy conglomeration called the Alliance. The Greens maintained their independence and had the guts to break away and stand on their own. This was a great risk on their behalf and nearly backfired, but good on them - still here today and in Government (sort of). However, Jim Anderton was not really seeking to lead a socialist revolution. By creating the Alliance he watered down the influence of the so-called 'hard left' (as he sought to extend the electoral appeal of his breakaway project). The New Labour Party died along with the Alliance, even though some of us tried to resuscitate the Alliance as a Left party (essentially the NLP) for some time after its collapse in 2002. (The Alliance was finally deregistered as a Party in 2015). I know Sue Bradford and her 'think tank' are interested in reviving the Left Party project and there could well be a place for this sooner than we think, but right now peoples' hopes rest with Jacinda's Labour-led government. This means that one of the most fruitful projects for the Left at this time is to organise for the adoption of socialist/ecosocialist policies and ideas in and around the Labour, Green and NZ First Parties while pushing for the implementation of such policies (or steps towards their implementation) by the coalition government. Once met Jim, in the donko of a Union building,he was just passing though the town and decided to call in with one of his local followers,must be said,his welcome was frosty to say the least.Myself had no animosity for him as other political factions had. Jim and the Alliance Party,championed some serious social reform that had been let drift or ignored by a party that had been born championing such social reform,the Labour Party.However,he and the Alliance,at that time ended up imploding internally,only those close to the internal machinations of that time know the truth,as those on the outside saw a man dominant and unbending in his control. I read somewhere that Jim Anderton was a micromanager who couldn't bear to delegate. Which is probably one reason why he found it difficult, and possibly why it all turned to custard. On with reminiscences? I think it was Jim Anderton coming to have a meeting and cup of tea with locals, and as a worker I angled myself into it. I thought it would be good to meet the personage I was supporting. But he was so cold and distant, a simple hello and smile was beyond him. It was a taste of the single-mindedness of the ambitious long-distance politician. If they can't give you the time of day, when they do get into power will they ever give thought to what you and other 'ordinary' people need and want in small practical blocks as required. as a one time constituent of Jim Anderton's electorate I can attest to the exceptionally high opinion of many of his willingness to assist those who approached him with any and all manner of problems ...something reflected in his consistently large majority despite the ructions of the 80s and 90s. The willingness to attend to constituents' interests is different to the attitudes to average joe and joan and particularly to workers, who are even worthier of concern than constituents as getting in to the seat is usually with many thousands of paces by workers, plus talking. To make it plain, those wishing to be elected as a politician, or to increase the number of supporters for a party, need to have hard working supporters who will promote them and get them in the front of the eyes and minds of voters. The ambitious pollies need to give their greatest attention to such supporters, such loyal workers for them, more even than they give to constituents once they have been accepted into parliament. dedicated helpers to arise and cry their message.